If you want to contribute to making up a list of fan-favourites for La La Land’s consideration, please send me your favourite cues that you are craving for for a CD-quality, no sound effects- or dialogue-burdened release! 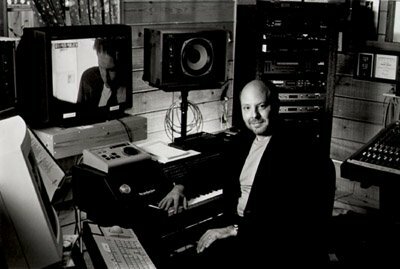 After a very, very long wait since 1996’s “The Truth and the Light“, La La Land Records released audio CDs with Mark Snow’s original music for The X-Files in 2011, 2013 and 2016. Pure unadulterated awesomeness of ambient and thematic works by Mark Snow, without any dialogue layered on top! On May 10 2011, La La Land Records released a 4-CD box set; it was revealed that its name was “The X-Files Volume One“, with a “Volume Two” in the works and estimated to be released in 2012. The second volume, 4 CDs also, was released on September 10 2013, to mark the show’s twentieth anniversary (as suggested by Eat The Corn!). A “Volume Three” was expected for 2015; it was released on October 25 2016 in the wake of the show’s revival. La La Land also released Mark Snow’s music for Millennium: 2-CD first outing in 2008 (at the time thought to be the one and only) and the 2-CD Volume Two in 2015. Their 2-CD set for the music in the 6-episode revival was released on April 25 2017. A “Volume Four” is something La La Land is considering, given strong sales. The focus is expected to be on episodes not covered in previous volumes, however requests for important cues that were skipped the first time around are so recurring that I hope LLL might reconsider. More limited editions of full episodic scores are also things LLL is exploring. Throughout this process, La La Land opened the floor to the public for suggestions and requests. Same as with most frequent fan requests, the remaining optioned episodes are from the earlier seasons. 7X18: Hollywood A.D.: the dancing zombies that close the episode is actually “Pueblo Nuevo” by Buena Vista Social Club, although this is a Mark Snow rendition. and of course all the other obviously non-Mark Snow music, such as Nick Cave’s “Red Right Hand” (in 2X06: Ascension) or Johnny Mathis’ “Wonderful, Wonderful” (in 4X03: Home), et caetera. One important thing to take into notice is that the list below features cues that were noticed by us viewers, but a great part of the X-Files’ success was the atmosphere and mood created by Mark Snow’s ambient soundscapes. These ambient cues were often in the background, overlayed by dialogue or sound effects, and are difficult to recall. However that does not mean that they should be overlooked: a complete X-Files soundtrack would have to include some of those difficult-to-track but essential cues. This is particularly true of several episodes throughout seasons 1 and 2. The amount of music per episode found by the podcast Snow TraX illustrates that point perfectly. Since the list is quite long and not all cues have the same significance, I have attempted to add an “appreciation” column, with stars ranging from 1 to 3 (3 being the highest); ratings are based on the and how many times this particular cue has been popping up in requests. There are requests for individual cues in top of episodes as a whole — there are important 3-star cues in episodes that as a whole are less interesting! Episodes that were covered are in gray (just 28 episodes). Episodes that were covered but for which we still think there is some very good music that was, sadly, not included in the released volumes, are in brown (no less than 62 episodes!). Episodes previously opted by La La Land have been noted with [opt] (the 10 remaining above). The rest is episodes not yet covered by the first 3 Volumes (75 episodes!). If you want to help building this list, do not hesitate to contact me! (or Mark Snow for that matter…) In total, music requests for 147 episodes are listed below + 28 episodes considered as “covered”: that’s over three quarters of the series’ 202 episodes! This is, I believe, the fullest list around for unreleased X-Files music. Enjoy! – Alternate main title ideas or demos? 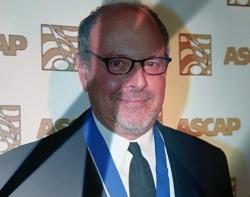 Oh, and the most important part: Thank you Mark Snow and thank you La La Land! Un des mystères de XF! Même ici ça n’y est pas. I would really like to hear some of the more melodic cues on the new compilation. – the piano melody at the end of Triangle. The Vol. 1 promotional video was fan-made. I contacted you for more. 1. Dans Elegy, la scène où Mulder fait craquer Harold Spuller lors du premier interrogatoire. Il y a en fond une partie de piano façon contemporaine qui est très interessante et que je serais ravi de voir figurer dans le vol 4. 2. Dans Christmas Carol, il y a une séquence piano clarinette quand Scully rentre à la maison familiale et compare son ADN avec celui d’Emily, magnifique et typique des élans dramatiques de Snow. Cette section ne figure pas dans le vol 1 qui en a fait figurer d’autres du même épisode. 3. Dans Kill switch, il y a un très bel accompagnement de piano sous forme de plainte mélodique lors de la scène entre Esther et Scully quand Esther se livre enfin. I’d like to put in a request for the “previously on…” segment at the beginning of the episode ‘Apocrypha’. I’d love to see the soundtrack playing season 7s En ami; When Scully hides the microphone in her chest and begins her road trip with the CSM, especially the scene where they are driving at night. I would like to see Season 9 Main Title. I found this track in The X Files: The Event Series but it have different version. It’s more mystical in video, with some echo, maybe with equalizer. Also I would like to see “All The Pretty Little Horses”. I don’t understand this “the rendition of “All the pretty little horses” is original enough that it is included in the list” but t’s good to see it in Vol. 4. Does somebody know similar versions? The first season 9 title music: it is indeed from season 9, is it different from the season 9 mix in Vol. 1? I would have to check. The “synth pad / delayed piano” motif that was used in the first Mulder/Scully night forest scene of “Pilot: X-Marks the Spot” as well as in the teaser of “Conduit”. It’s one of the most eerie and spooky atmospheres created by Mark, and it would be important to include it in Vol.4.